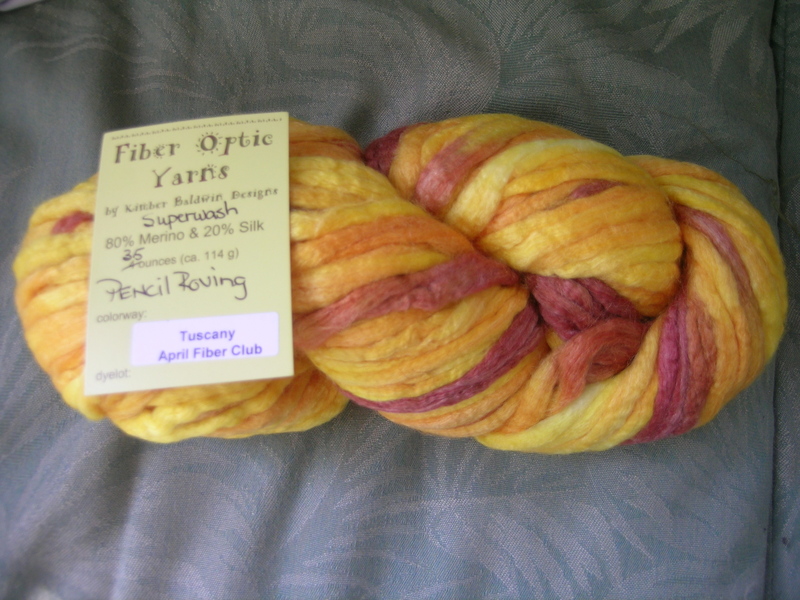 I started spinning some of the roving that I got from the Fiber Optic club last Winter. The color is Jade, 85% BFL, 15% silk. I am not sure why, but I have great difficulty with this blend. I need to get enough twist into it, or it drifts apart. It requires much concentration from me. I am thinking of plying this with a yellow pencil roving that I have. My confidence on mixing colors is still not all together there. Any comments? My spinning wheel, the Ashford Traditional, is about to get an upgrade. 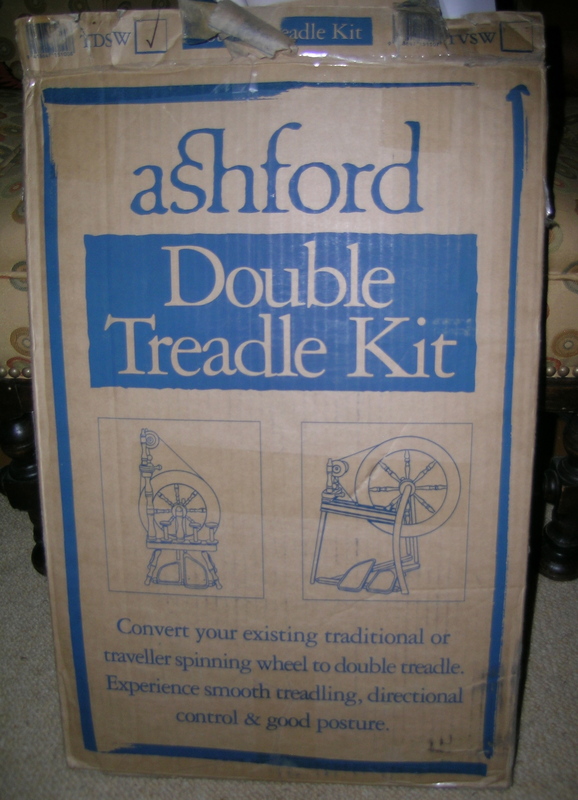 I purchased a double treadle kit. 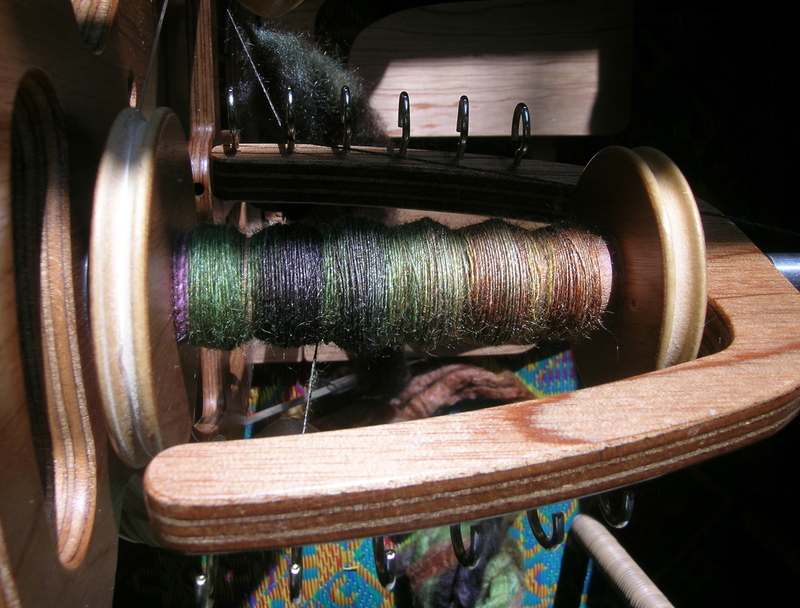 Spinning on the Joy made me realize how much easier a double treadle is (think pedaling a bike with one pedal versus two). 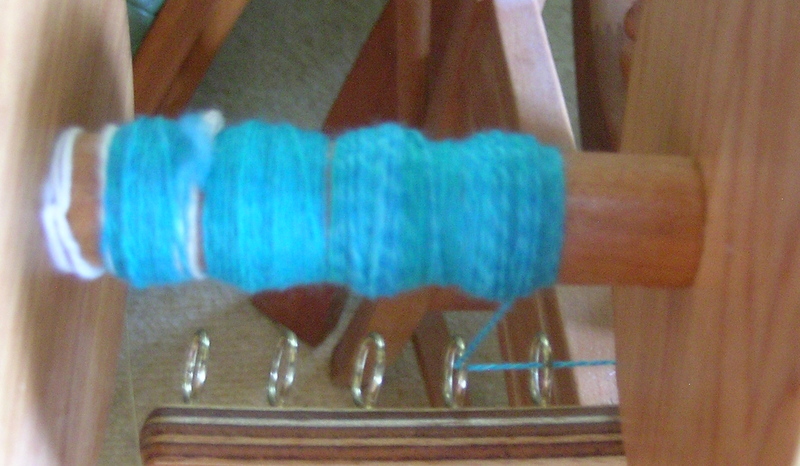 I have found myself spinning almost exclusively on the Joy, and using the large bobbins on the Traditional for plying. This will have to wait another week or two, as I have had guests in town, and plans for this weekend. 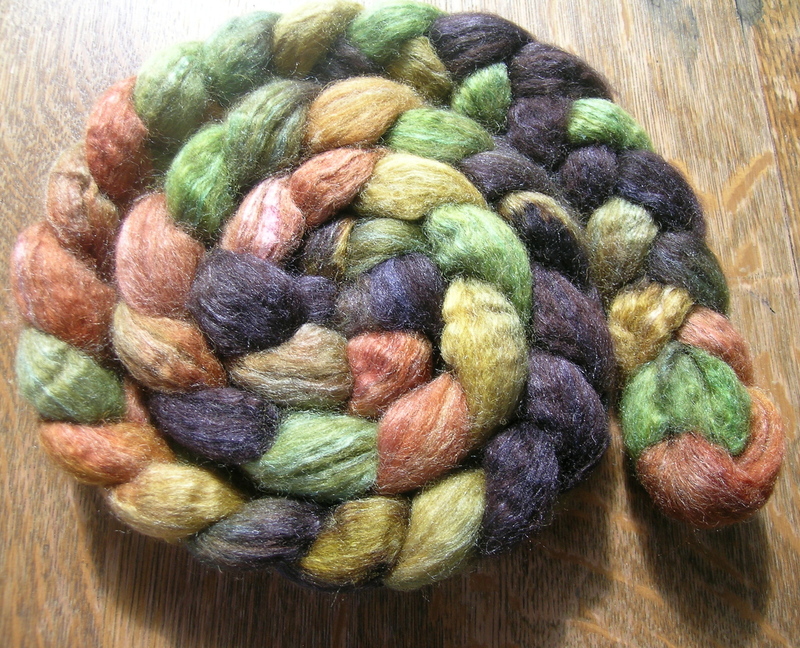 Currently plying the Merino from Expertly Dyed, this spun up very nice, and is plying well also. I am tempted to order more of this to make a larger shawl. 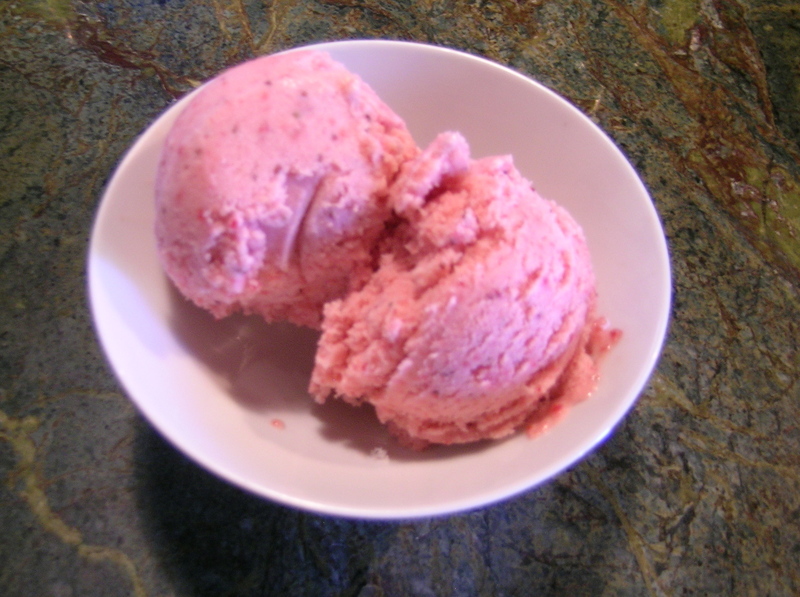 And, yesterday I had a bunch of strawberries that I needed to use up, so I ended up making some amazing strawberry ice cream. This reminds me of my sister Janice, she was always the one who loved strawberry and I loved the chocolate ice cream. This is so yummy that it could just change my opinion. Wow, so jealous of the spinning! I haven’t tried it yet and am dying to. Your yarn looks beautiful by the way!